Just 10 copies of this book were produced. The goat skin was specially dyed, for the job, to get a very dark-midnight colour. The end papers were made from ivory Siltex. 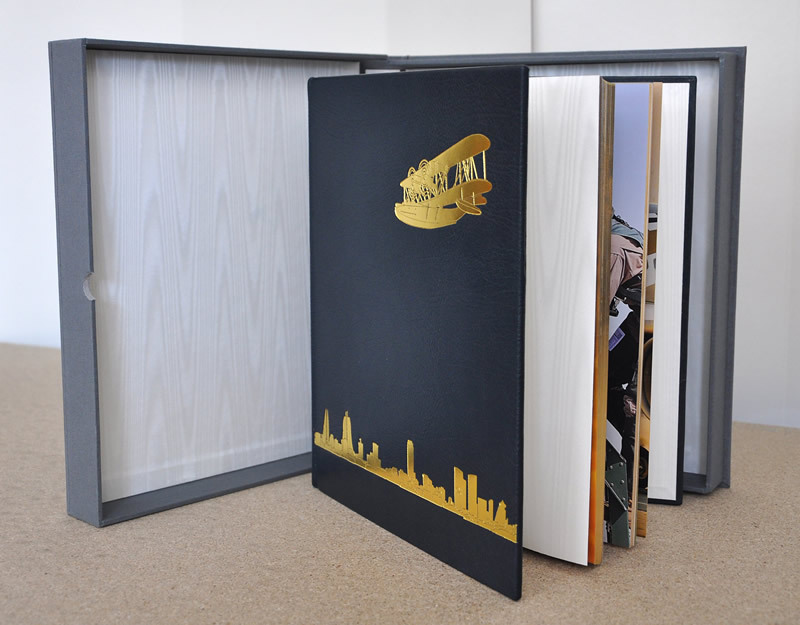 The foil blocking is a seaplane (aeroplanes being the subject of the book), above the sky line of Bahrain. The Solander box had a leather label, inset on to the front. it sits flush, so there is a neat thumb cut for ease of opening. A really elegant production.